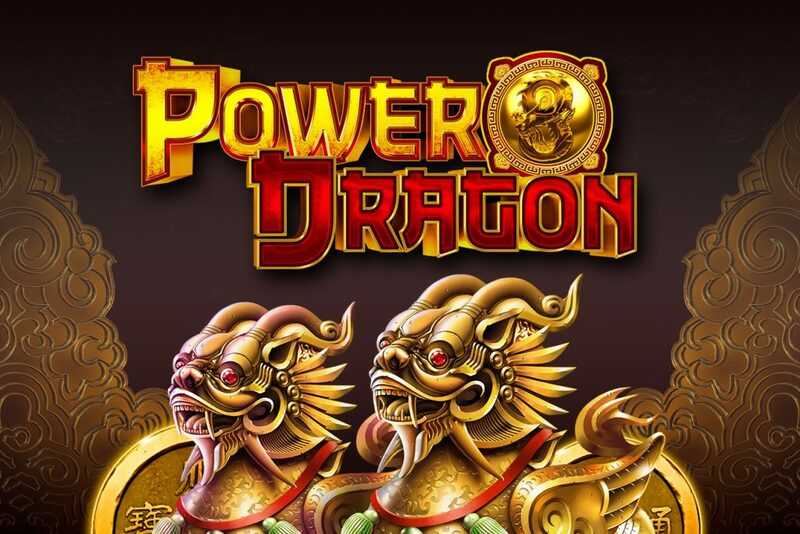 The lucky number 8 in form of the wild dragon is the key symbol for the POWER DRAGON slot game. With its 5 reel – 243 win ways and a player selectable feature it is a player satisfaction guarantee. Win the bonus feature with any three of more Coin symbols from leftmost reel to right. 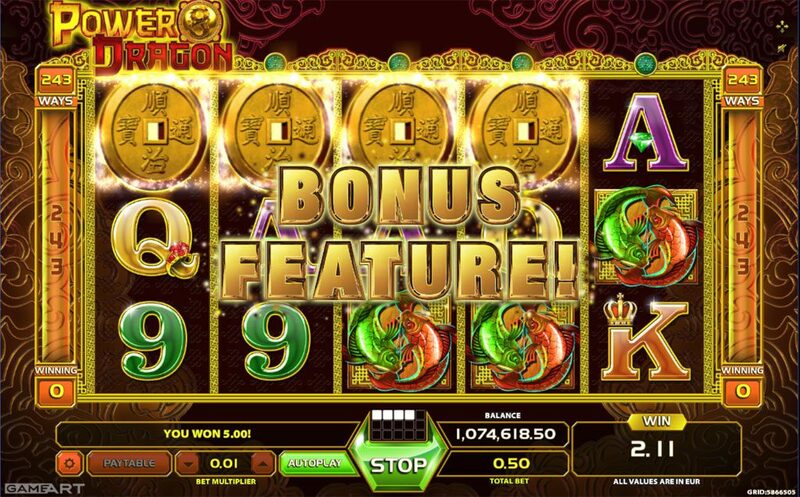 In the bonus screen select the number of free spins and its three different multipliers. 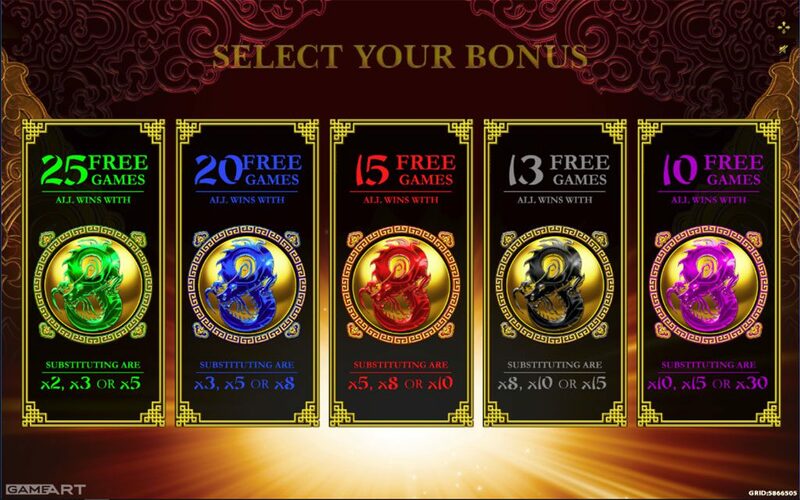 During free spins Red Pockets symbols appearing simultaneously anywhere on reel 1 and 5 pay an extra bonus prize of 2, 5, 10, 15 or 20 times total bet. 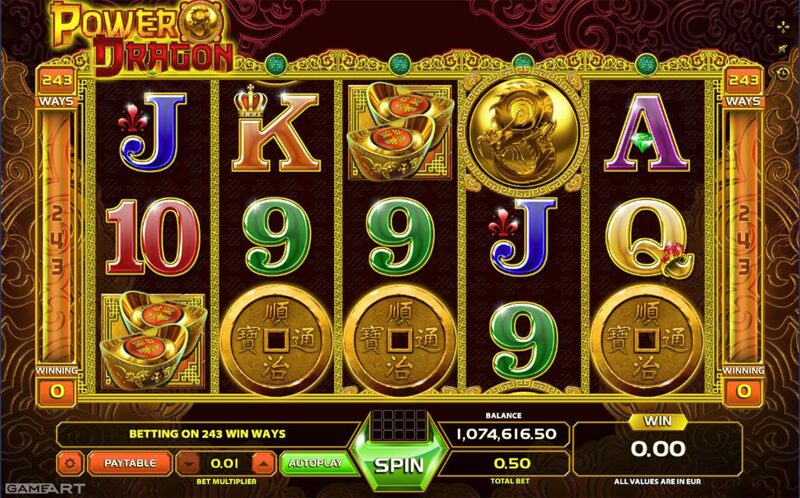 Bonus feature can be retriggered during the free spins.